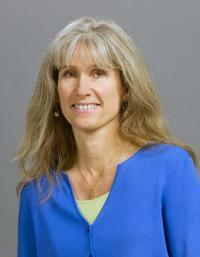 Ms. Donna Hammer is currently the Director of Education for the Department of Physics at the University of Maryland. She earned her B.A. in Communications at Humboldt State University and her M.S. in Communications at the University of Oregon, then earned her M.Ed at the University of Maryland. Ms. Hammer has been involved in public engagement and key outreach initiatives that have earned her awards and recognition within the Physics and Education communities. She has earned the Outstanding Advisor Award for the SPS Chapter at the University of Maryland in 2016 as well as earning the Sibylle Sampson Award for Outstanding Service Recognition at the University of Maryland twice. Her work toward increasing representation of women in the field of Physics earned her the George A. Snow Memorial Award in 2011. Ms. Hammer was elected as the SPS Zone Councilor for Zone 4 in 2017. Ms. Hammer has been described as a valuable asset in combatting the lack of representation of women in the physical sciences, particularly through the many outreach projects she has assisted in such as the Physics Summer Girls Program, the APS Conference on Undergraduate Women in Physics, Women in Physics, and launching the Graduate Resources for Advancing Diversity with Maryland Astronomy and Physics. Her role as SPS Advisor has been described as providing “an environment that allows [the] club to grow organically”. While she allows students to develop their own skills through this type of leadership, she is also described as having “terrific vibrancy and vigor” even when working outside of typical work-day hours, encouraging those in the Chapter to achieve their milestones. Hammer’s large range of involvement within the community and classroom is part of why she embodies the “key player” description she is given by those who work with her.